3 vs 1 with the object of complete a pass through the inner square area to score. 1 defender. 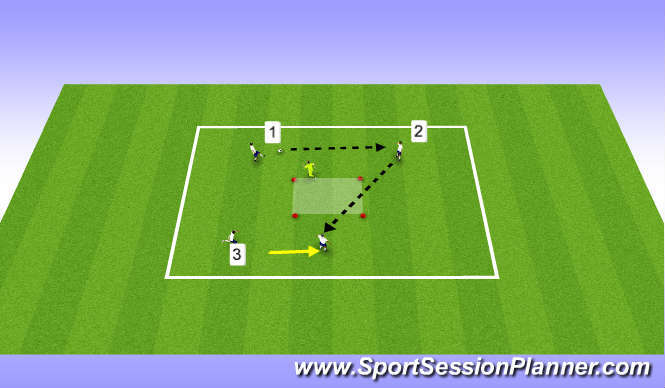 Organisation/ Rules: 6 v 6 in the middle zone of the pitch. 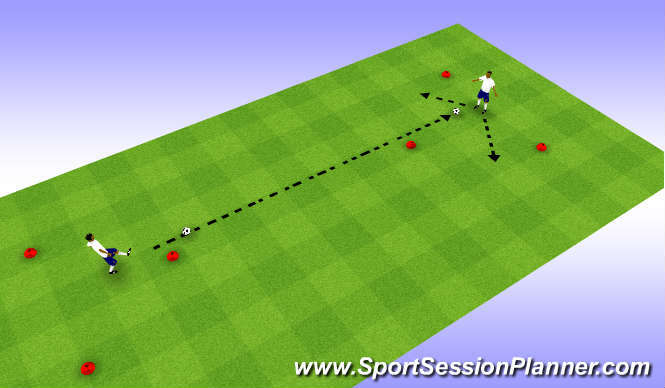 After a team has made 2 passes they look to play a ball into the final thrid for an attacking player to get on to. The player has a maximum of 2 touches to score.